This is a unique opportunity to learn how to teach life changing yoga with the convenience of an eight weekend training. Join the energy of our growing community of teachers teaching vinyasa yoga. Learn to live a celebrated life and help your students and those around you do the same. 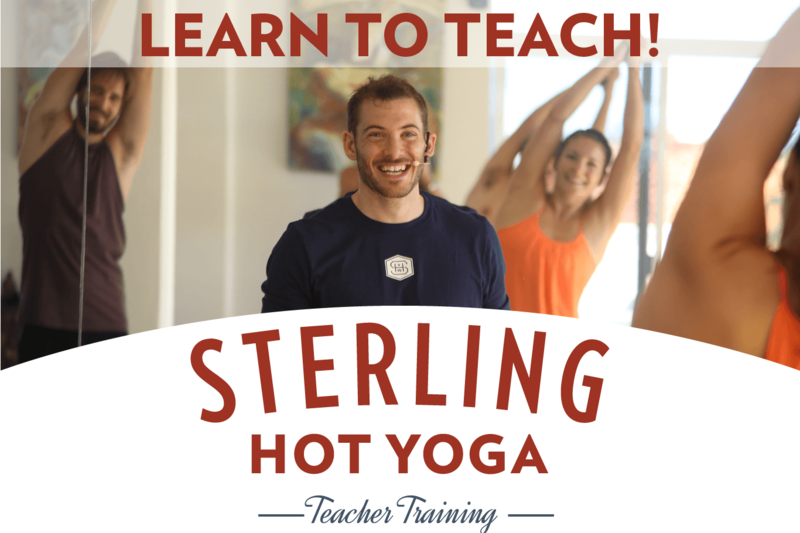 Sterling Hot Yoga works is a registered school with Yoga Alliance. Trainees who complete the Sterling Training Program are eligible to register with Yoga Alliance as a Registered Yoga Teacher – RYT 200. Visit SterlingHotYoga.com or apply HERE today. Sterling Hot Yoga in Lexington, Has state of the art studios were purposely built with your comfort and yoga practice in mind. Our studio is conveniently located on Pasadena Road off Nicholasville Road. Our amenities include a state of the art heating system, changing rooms with showers and the best retail boutique. We offer Vinyasa hot yoga classes every day in addition to Sterling classes (Bikram Style), Iron Hour, Inferno Hot Pilates and Yin. Our schedule includes 60 and 75 minute classes to meet the needs of our students and their busy schedules. Our teachers teach with compassion and will motivate and challenge you so that you can receive maximum benefits each time you come in. Sterling Hot Yoga in Lexington is a healthy, healing and clean environment. The owners kindly request that there be no smoking, drugs, alcohol, or pets on the property. We fully expect trainees respect these wishes. Sterling Hot Yoga, Inc. is headquartered in Lexington, Kentucky. It is an independently owned and operated corporation created to educate and empower people who contribute to the health and wellness of themselves and of the world. Sterling’s vision is to set a global standard for health and wellness training. Sterling Hot Yoga Mobile is an independently owned and operated yoga studio. It is affiliated with Sterling Hot Yoga, Inc and subscribes to its mission, vision and tenets. © 2019 Sterling Hot Yoga Lexington.